in search of relief from his nightmares. The life of a freight-hopping, banjo-strumming hobo appeals to him more than he wants to admit. 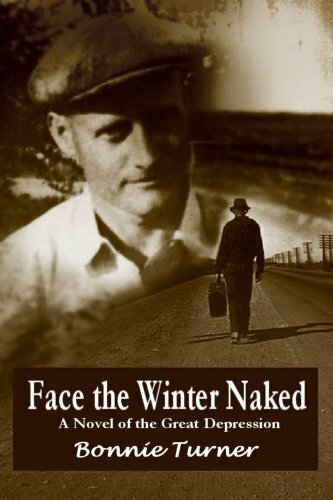 But he insists he's not a bum - he's a family man looking for work; a down-and-out victim of the Depression, whose war flashbacks and guilt for leaving his family accompany him through the hills of Missouri.Compassionate, humorous, and warm, despite the economic hardships of the era, Face the Winter Naked will appeal to readers who enjoy tales of survival in the Great Depression. Stories of desperate men who couldn't handle the realities of war or financial ruin. Men who dearly loved their families but hadn't the courage to stay and accept responsibility. The story pulls the reader back to a tragic period in history, where people either learned to cope with poverty - or perished.